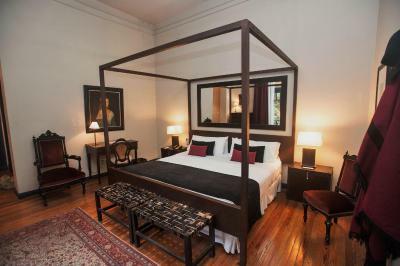 Lock in a great price for Legado Mitico Salta Hotel Boutique – rated 9.3 by recent guests! The staff went out of their way to make our stay an excellent one. After driving all day from the north, we arrived tired, the staff gave us dinner at the hotel. The room was beautiful, with a window onto interior courtyard. Staff was great making sure we had help with our luggage coming in and going out. Beautiful looking interior. It is a beautiful property. Very comfortable with fantastic breakfasts. The hotel decor and rooms were divine. The beds were comfy and the pillows lovely. The staff were hospitable and helpful. The breakfast in the morning was also delicious and extensive. 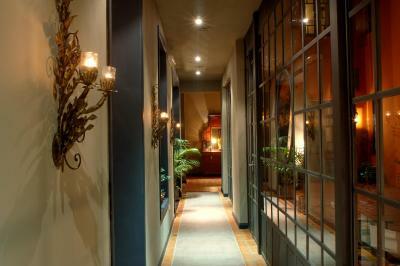 Charming, elegant boutique hotel. Staff are amazingly helpful, went above and beyond to accommodate and answer our questions. Our room was enormous. Big room, clean, good size bathroom. Staff very helpful and attentive. Seemed like a cozy home. Very nice library area. Nice touch to offer a free Glad of wine! Breakfast good! Was a really nice place to stay with wonderfully helpful staff. Tastefully decorated with restful places to sit. 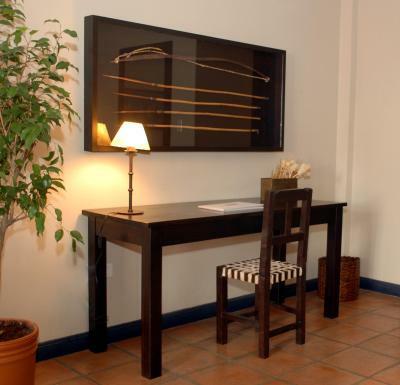 Legado Mitico Salta Hotel Boutique This rating is a reflection of how the property compares to the industry standard when it comes to price, facilities and services available. It's based on a self-evaluation by the property. Use this rating to help choose your stay! One of our top picks in Salta.Legado Mitico Salta Hotel Boutique features a blend of traditional and contemporary design, set in a 1930s house in Salta´s historical center. 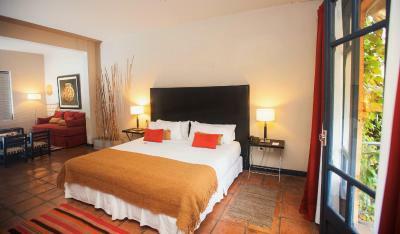 Located only 1,650 feet from 9 de Julio Square, the property offers exclusive rooms with free WiFi access. 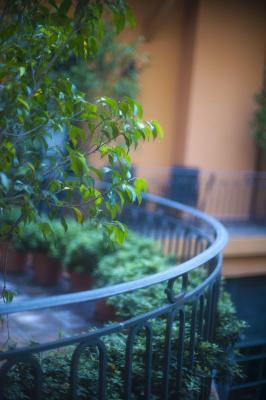 Suites at Legado Mitico are named after celebrated personalities and towns conveying the local culture. 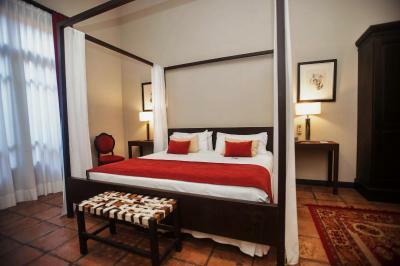 Each room includes either a private patio or a balcony, air conditioning and an LCD TV. 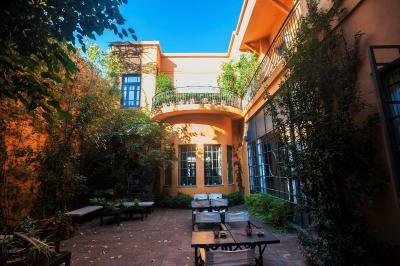 The property features comfortable shared lounges, a well-equipped library including travel and cultural books, a fireplace, a massage salon, and an inner patio. 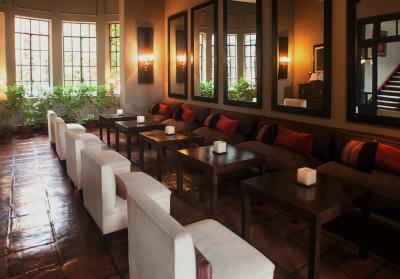 Legado Mitico Salta Hotel Boutique is a 20-minute drive from Martin Miguel de Guemes. There is free parking nearby. 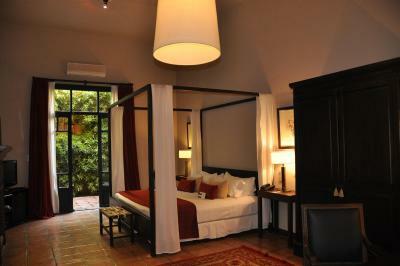 When would you like to stay at Legado Mitico Salta Hotel Boutique? Features a private balcony, a 42" flat-screen TV with cable, a DVD player and Wi-Fi access. A spacious room with regional decor, featuring a French balcony, a 42" flat-screen TV with cable, a DVD player and Wi-Fi access. 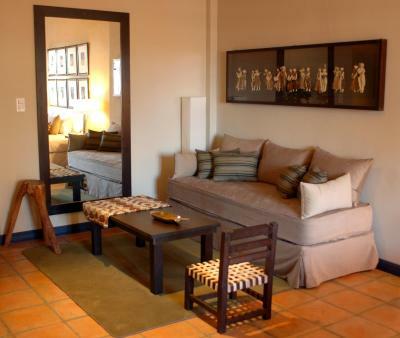 It is equipped with a safety box and a private bathroom with a bath tub and free toiletries. It may accommodate an extra bed. A spacious room with either a spa bath or a Scottish shower. It features free toiletries, bathrobes and slippers and is equipped with flat-screen TV, a DVD, a mini-bar and a safety deposit box. It may feature a private patio or a private balcony. Legado Mítico Salta features the Ecological Label Hoteles+Verdes that recognizes hotels demonstrating a sustainable and respectful management of the environment, community and tourist destination. 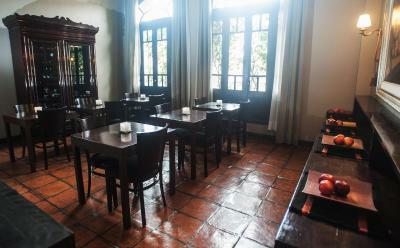 House Rules Legado Mitico Salta Hotel Boutique takes special requests – add in the next step! Legado Mitico Salta Hotel Boutique accepts these cards and reserves the right to temporarily hold an amount prior to arrival. Please note that only children of 12 years of age or older can be accommodated at the property. Please note that extra beds can only be added to the Superior Room. We expected more from this hotel which has received such good reviews. The general areas are very dark and felt outdated. Breakfast was very limited with poor coffee. Location good. Easy walk to good restaurants. Large room with comfortable bed. The staff was poorly trained and couldn’t answer basic questions. One person at reception didn’t even know that one of the most popular music venues was closed on Mondays. The taxi driver had to tell us. I emailed the property twice before arriving and they never responded The common areas such as doors, stairwell and carpet weren’t clean. Our room was in need of more thorough cleaning. 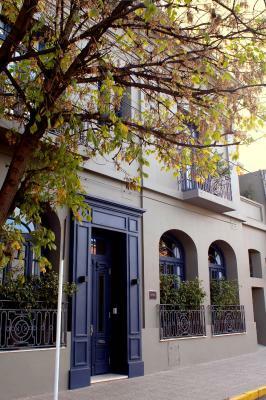 Good location, nice boutique hotel with great value for money & friendly staff. 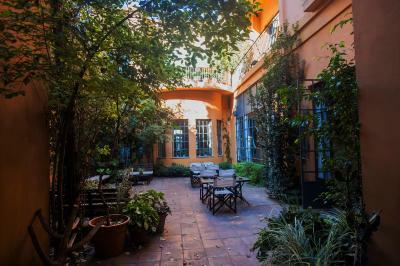 Brilliant place to stay in Salta, feels like being in someone´s traditional Salta home, the atmosphere is fabulous, the rooms are spacious with comfortable beds and the staff absolutely fantastic. Breakfast very good! 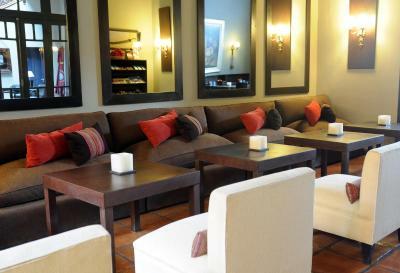 Elegant, traditional and best hotel services in our whole Salta trip. Wished we stayed longer but had to travel! This is an outstanding location an easy walk to the main square and close to the restaurants and peñas of Balcarce. Built around a courtyard patio with a spacious library come lounge where we enjoyed complimentary glasses of wine on our first evening. Our room was large and high ceilinged with tasteful furnishings and a comfortable king sized bed. Helpful staff spoke good English and arranged an early breakfast for us on request. We reserved a room with a balcony. During our first stay we had a balcony. During our second stay we didn't have. And no valuable explanation of the staff. When we arrived we could not go to the hotel because there was a procession. An email from the hotel would have been very easy for them to write, and would have made it a lot easier for us to arrive at the hotel. But true friendliness is not the best point of this hotel. Would definitely stay again. 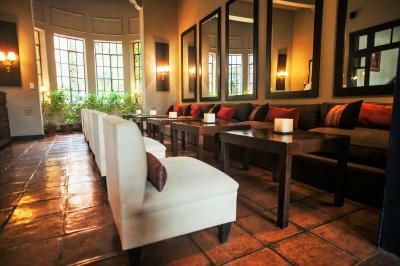 Perfect value for money: great location, good breakfast, tasty wine and awesome staff. Thank you very, very much. -This is a beautiful mansion, so our bathroom had some small ants, not a big deal, probably very typical for an old house. The bathroom drains also had a slight smell, definitely not bad, but again, it is an beautiful mansion and I can’t fault the facility on plumbing in general in the region. The location is a bit of a walk from the main square. But still close to its own shops and action. Lovely decor in public rooms especially.